Hamas' show of strength during its mass rally on December 14, 2008, celebrating its 21 anniversary, and the threatening declarations of its leaders in Gaza and Damascus, culminated in the cancellation of the six-month cease-fire (tahidyeh) with Israel. This stands in contrast to the lack of decisiveness and leadership on the Israeli side, which plays according to the rules of the game imposed by Hamas. According to the Israeli media the defense minister Ehud Barak is the main responsible (with the support of the chief of staff Gen. Gabi Ashkenazi) for the present Israeli strategy which strives to the prolongation of the Tadhiya. In this author's opinion, Israel's main strategic goal should be the prevention of Hamas' increased military and political strength and shattering the organization's exclusive control of the Gaza Strip. The achievement of this goal has major local and regional implications. It is critical to stop the shelling of citizens in southern Israel, spreading from Sderot to Ashkelon, Ashdod, Beeer Sheva and threatening Tel Aviv or the Ben Gurion international airport. It must be crystal clear to every reasonable people in Israel, the Palestinian Authority and the international community that the Hamas control of Gaza will thwart any peace agreement between Israel and the Palestinians and threaten the rule of the moderates in the West Bank, even if some kind of settlement will be achieved with Abu Mazen. Hamas' political strengthening threatens the stability of the two moderate Arab countries in peace with Israel, Egypt and Jordan, by encouraging their radical Islamist movements. Moreover, Hamas is a strategic ally of Iran and could help it militarily, like the Hizballah in Lebanon, in case of an Israeli or US attack on the Iranian nuclear facilities or in case Tehran goes nuclear. In order to achieve its strategic goal, Israel should cut the oxygen pipeline - the tunnels permitting the smuggling of advanced anti-tank and rocket weapons - by re-occupying and widening the Philadelphi Road on the Egyptian border. 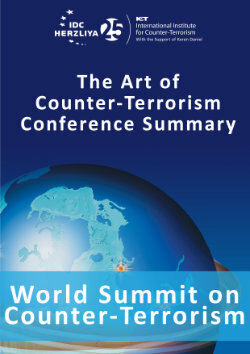 It is important to target relentlessly the Hamas military and political leaders (who decide the shelling of civilians and suicide attacks) to disrupt their command and control of the troops and in parallel to intensify the military activity against the field operators and the military infrastructure. The pressure on the leaders, coupled with commando operations to take prisoners of importance, could help the release of our soldier Gilad Shalit and prevent the present rise of his price. It is important to target Hamas propaganda media tools - TV and radio stations, journals, printing houses - which disseminate a culture of hate against Israelis and Jews. At the same time it is imperative to improve the Israeli media dialogue with the Palestinian population, including by direct appeals of Israeli leaders. This military strategy should be accompanied by a liberal policy versus the civilian population by providing gas, electricity, medicine, food and goods that do not serve to expand the Hamas military infrastructure. Beyond humanitarian considerations and the need to avert international criticism, past experience demonstrates that the pressure on the civilian population is often counter-productive: "Operation Grapes of Wrath" in southern Lebanon ended in the killing of dozens of civilians in Kafar Qana; the bombing of the Dahiya neighborhood in Beirut during the Second Lebanon war in 2006 strengthened Hizballah on the popular level; the strategy of intermittently closing Gaza during the last year failed. There is no doubt that such a strategy by Israel would produce in a first phase an escalation in the shellings and the attempts to stage major terrorist attacks inside Israel. However, if the cease fire will be prolonged, possibly under better conditions for Hamas, in the not so distant future, when the organization will feel sufficiently strong it will initiate firing of missiles which will kill many Israeli citizens and target strategic facilities at the same time deterring Israel from a massive response, which in any case would result in major human and material losses. The Israeli leaders have to demonstrate national responsibility by deciding on a strategy that serves the long range interests of the nation. 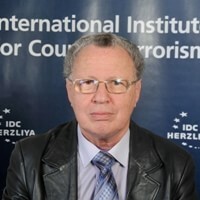 Dr. Ely Karmon is Senior Research Scholar at the International Institute for Counter-Terrorism, The Interdisciplinary Center, Herzlyia.